They can say whatever they want about you. They can put down your aspirations. They can wait for you to fail and say, “I told you so” when you do. They can sneer and laugh and point at you. They can give you a thousand reasons as to why your idea won’t work. They can tell you that you’re crazy and deluded. They can reject you and tell you why you will never make it. They can try to keep you grounded. But you don’t have to let them win. 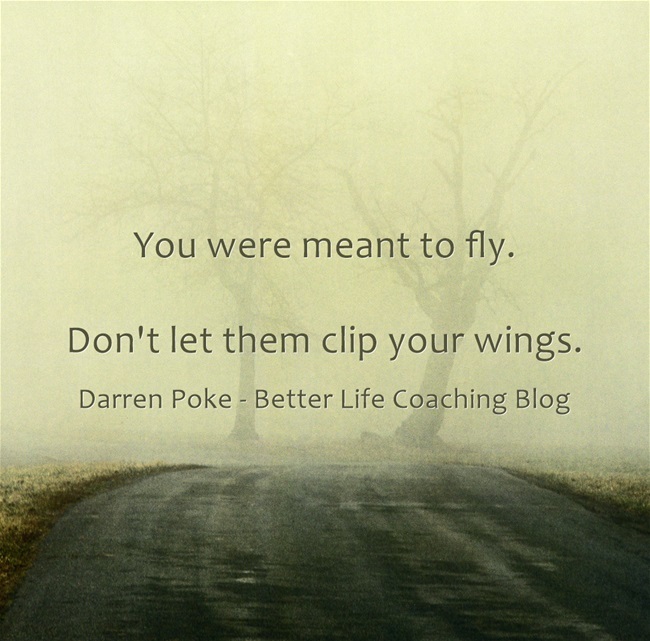 Don’t let them clip your wings.